This month is so chock full o MIX nuts it’s positively MIXOPHRENIC! …and the announcement of two HUGE new competitions–one for filmmakers and one for designers. Who will win over $15,000 in cash and resources based-on final business plan presentations? Only one way to know for sure! The generous staff at Tanti Luce will be tending some tantalizing bar. If you pause to sort out the survey on the way in (or ahead of time athttps://mixsantafe.com/mixophrenic-survey/) you’ll get a complementary cocktail courtesy of Rotary International and First National Bank. Palette-Popping Pizza will be dished up by the dashing dudes from PIZZA CENTRO. DJ | | will be in charge of in-flight entertainment in the form of delicious licks and sonic sabots. This is gonna be one toasty testament to Santa Fe talent that you don’t wanna miss. Join MIX, Santa Fe Film Festival, Rotary, bizMIX competitors, RE:MIKErs, and a whole lotta awesome sponsors for an October eve to nevuh fugget. Free food and courtesy cocktails are first come, first serve and while supplies last. As always, MIX is a private party but YOU and YOURS are invited! 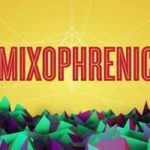 MIXophrenic Survey Results are in!